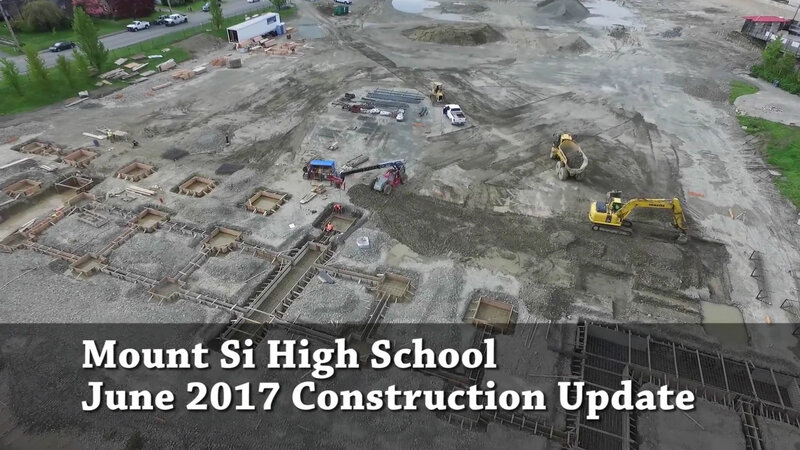 All aspects of the Mount Si construction project remain on schedule. The Stone Column Contractor is completing the site preparation work ahead of schedule and will be demobilizing this summer. The General Contractor continues surveying the building layout of Areas A through F, and J. (See rendering below for reference.) In Areas A and B, footings and foundations have been dug; structural steel rebar and embeds have been placed and inspected; concrete has been poured in footings and foundations; and these have been backfilled and compacted. The same process has begun for Area C. Underground utilities are also being dug and installed where applicable. Read the June 2017 Status Report, for more photos and details from the Project Manager. This rendering identifies Areas A through H, as designated for construction purposes. Future updates may reference the various areas, shown above, when describing construction activities. During the past school year, the site preparation for the SES gym construction was completed. That work included storm water, sewer and surface water drainage expansion and improvements, in order to accommodate the new gymnasium and restrooms. While the site work was underway, the District had expected to complete the design and permitting of the gym. Unfortunately, there were some unanticipated delays to this part of the process, which extended the start date of construction. Those hurdles have now been cleared, however, and the District is currently soliciting contractor bids. The District anticipates awarding the project to the lowest responsible bidder in July. Construction of the gym will start as soon as possible after the bid is awarded, and will continue into the fall. 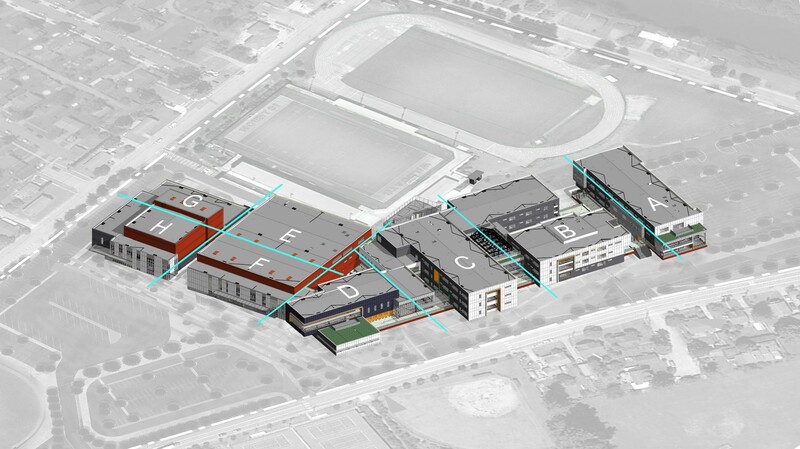 The District looks forward to commencing construction and delivering a quality facility that meets the school's needs. In other Mount Si High School news, the Board of Directors approved a new high school scheduling model at the June 22 School Board meeting. The new schedule -- a 7-period day with 2 block days per week -- will go into effect for the 2018-19 school year. This recommendation was the result of 18 months of study by the High School Schedule Advisory Committee and thorough deliberation with MSHS staff. The new schedule offers more flexibility and credit-earning opportunity to better support students in meeting the increasing state graduation requirements (Core 24) that apply to the Class of 2019 and beyond. Click here to read the full story.